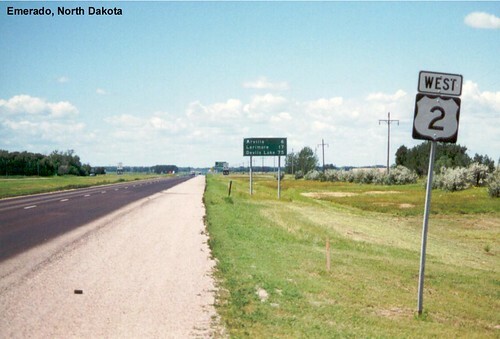 US 2 enters North Dakota at Grand Forks. The city suffered very bad flooding a few years after these pictures were taken. 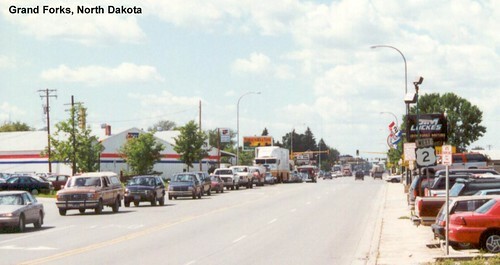 The bridge construction caused a bit of a traffic jam in Grand Forks. 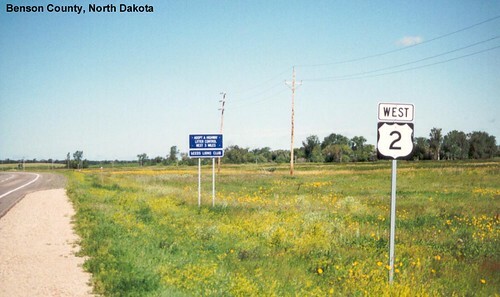 US 2 passes through Emerado as it begins its westward journey across North Dakota. 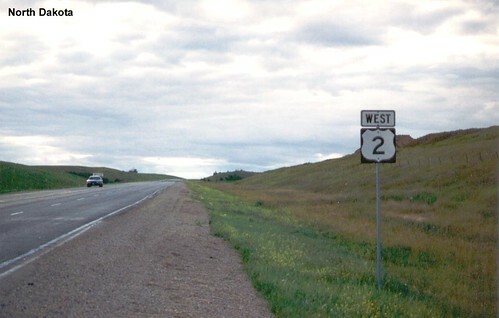 US 2 in Ramsey County. 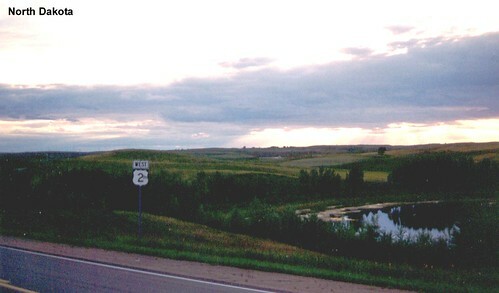 Fields along US 2 in Benson County. 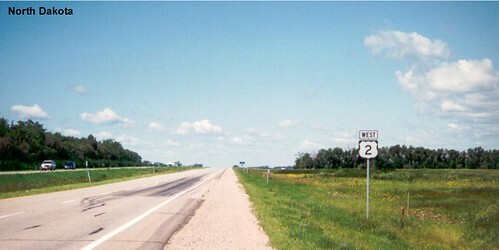 Similar scenery as four-lane US 2 passes through McHenry County. 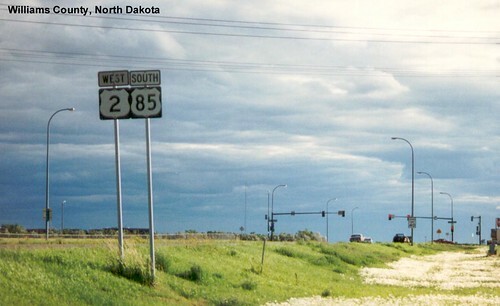 US 2 and US 52 are multiplexed near Minot in Ward County. 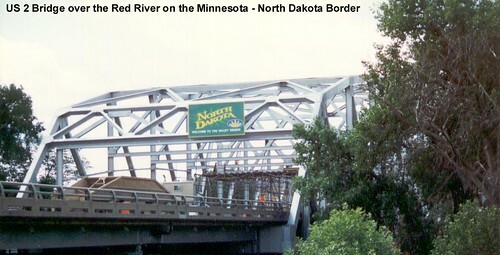 I stayed in Minot both times I drove across the state on US 2. The landscape has a few more hills as we continue west. US 2 climbs enough of a hill to warrant a passing lane. US 2 is multiplexed with US 85 for a bit as they go through Williams County. On my first trip on US 2 we had to stop at a car dealer in Williston for a bit to make some waterproofing repairs to the car.